NASA Aviation Safety & Reporting System (ASRS) publishes an award winning publication, CALLBACK. It's a monthly safety newsletter which includes de-identified ASRS report excerpts with supporting commentary in a popular “lessons learned” format. 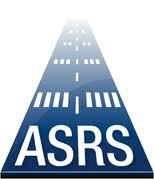 In addition, CALLBACK may contain features on ASRS research studies and related aviation safety information. Click here for an archive of past issues.